Let's Get the Hell Out Of Beijing! Sign in, if you're already a member of this group or Join Let's Get the Hell Out Of Beijing! 【May 18-19】Hike and Camp on Wild Great Wall, once a life time! Looking for some cool Outdoor activities, wanna make new friends along? Then this group is for YOU! From hiking to water sports (wakeboarding, windsurfing, sailing...) and even paragliding and other crazy stuff! More than a group we are a COMMUNITY for Outdoor lovers and Adventurers. That's why we also organize many social activity to keep in touch or meet new cool people! Our motto: Keep Your Life Adventurous! ""Let's Get the Hell Out Of Beijing!"" is organized by M2adventure, who brings you the best activities around Beijing/China. We are all about having fun and trying new things! Yep, you won't get bored ever again with us. This is a Sister Group of "Get the Hell Out of Shanghai",http://www.meetup.com/adventure-Shanghai/. 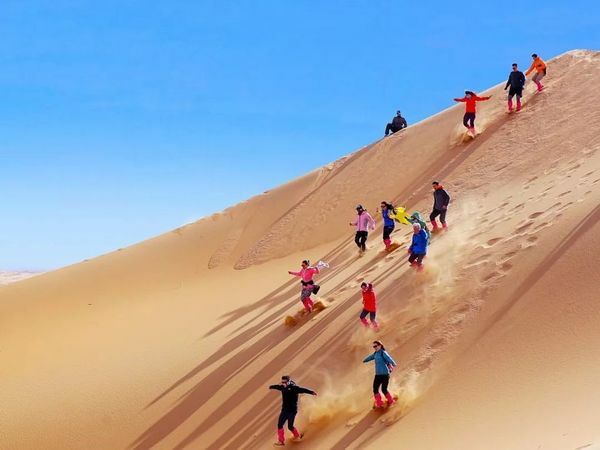 M2adventure, which founded by 2 founders Mariane and Miller, have more than 10,000 members on Meetup platform, make it one of the biggest/most active international outdoor clubs/communities in Shanghai/East China region. Share Life Abroad- Welcome New Friends!